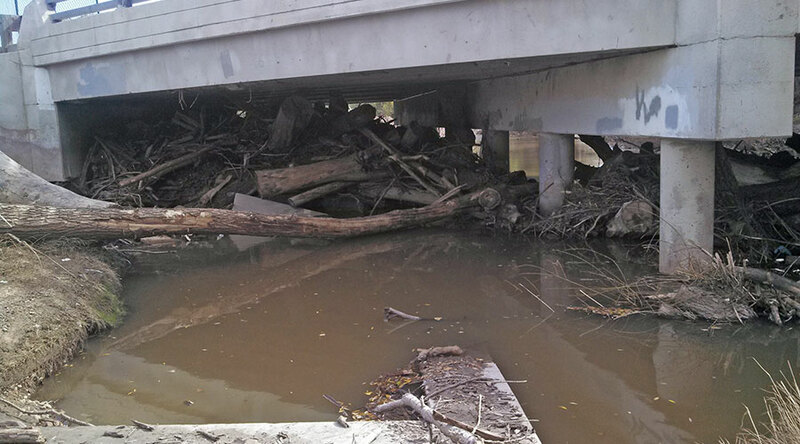 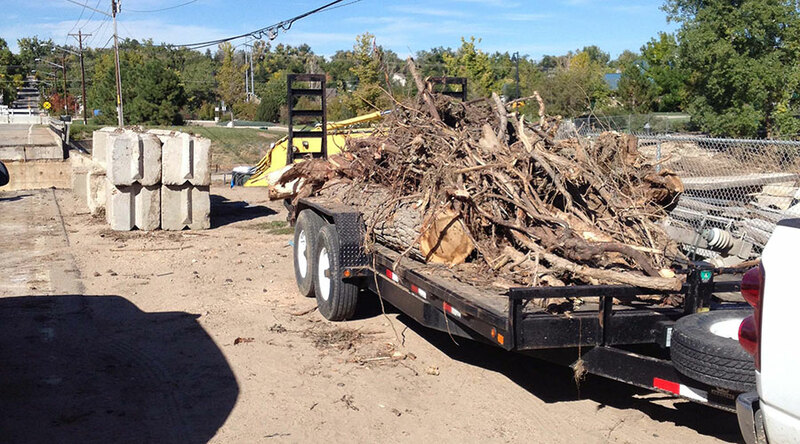 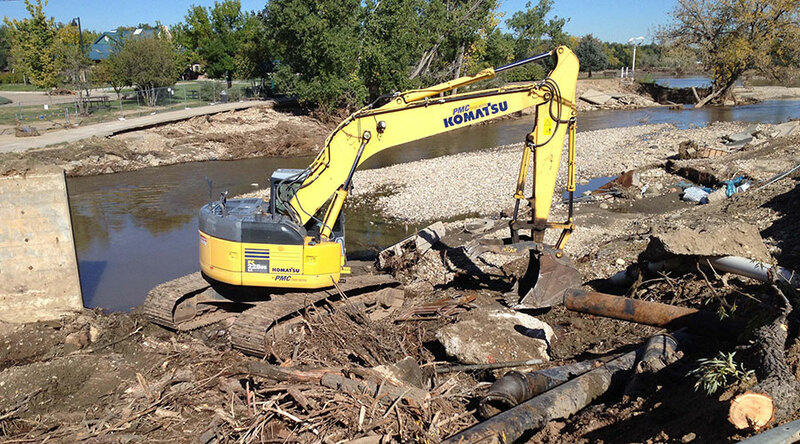 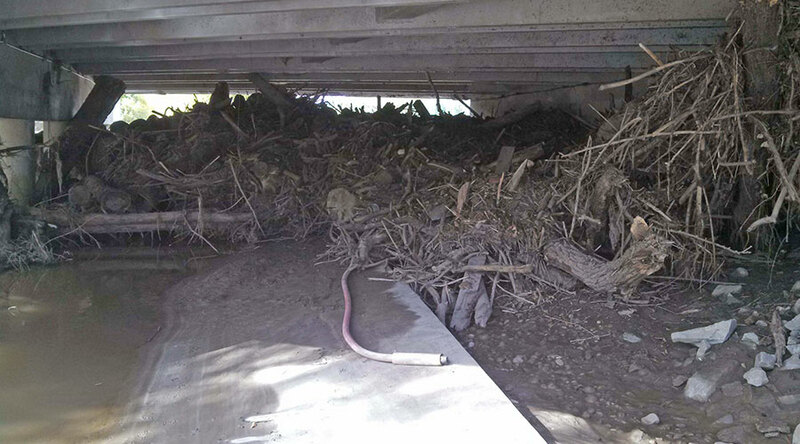 Removal of flood debris from underneath and adjacent to the Boston Ave/St. 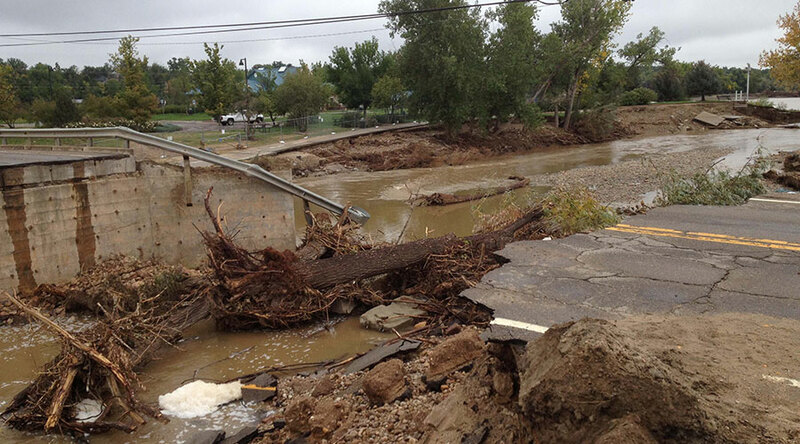 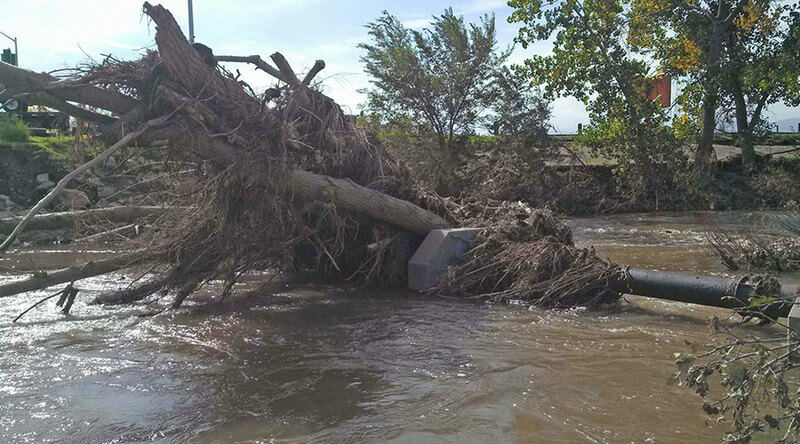 Vrain River Bridges as well as the Main Street/St. 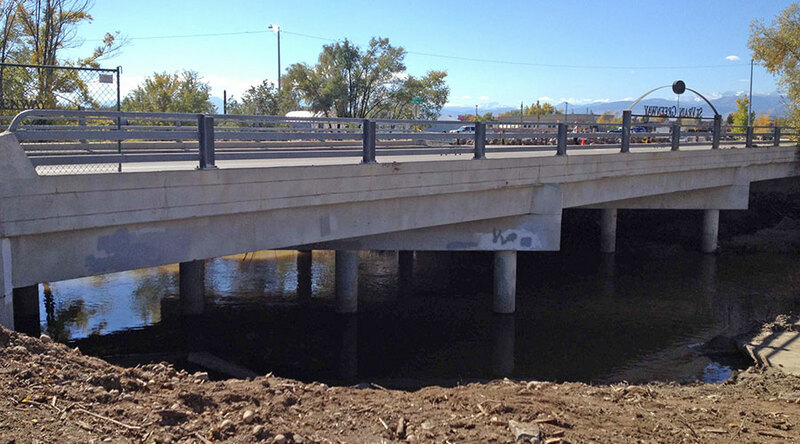 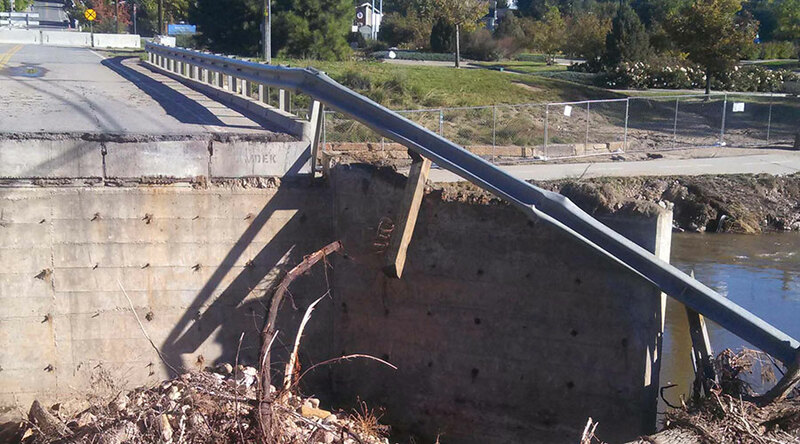 Vrain River Bridge. 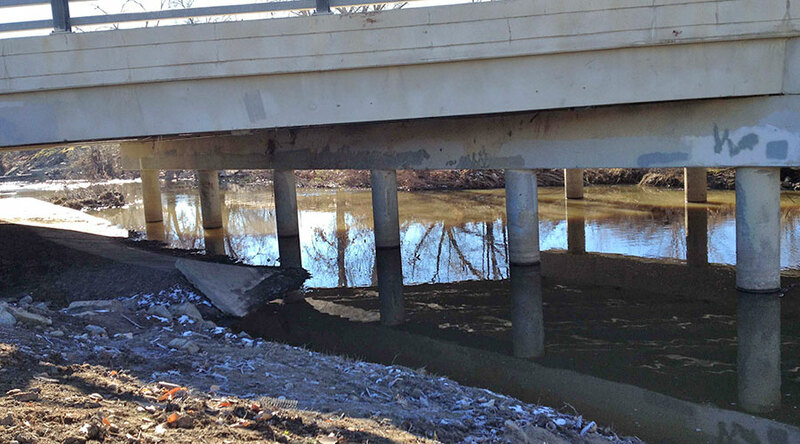 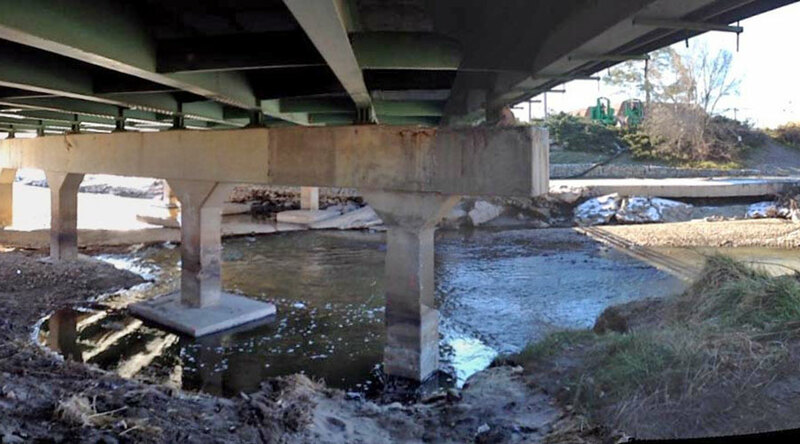 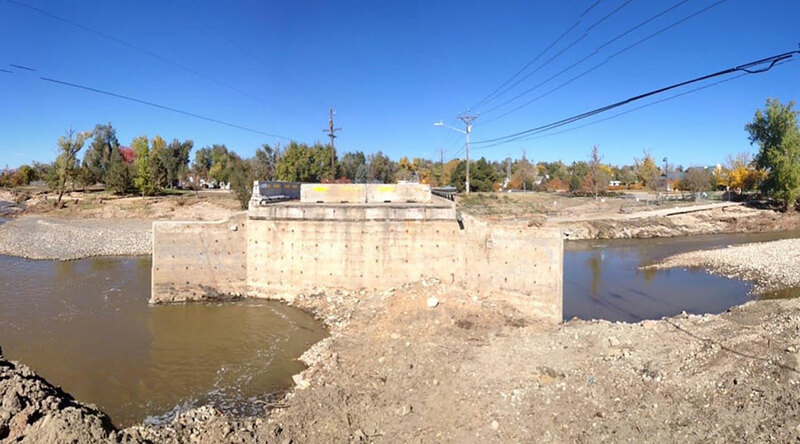 Work had to be completed in a timely manner due to high flows, without impacting the integrity of the bridge or nearby utilities. 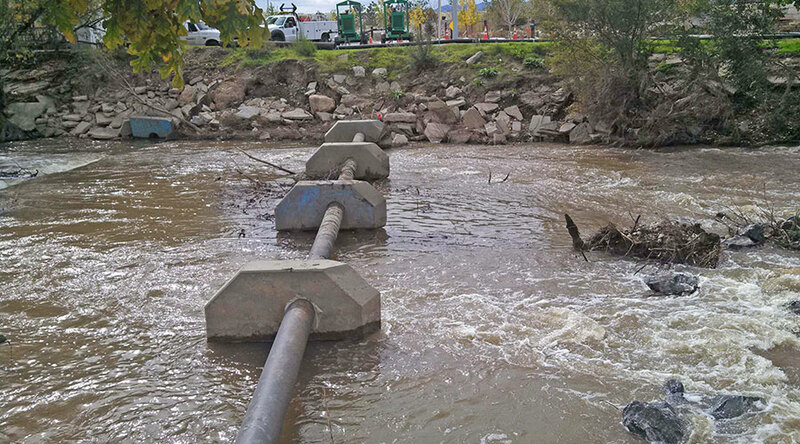 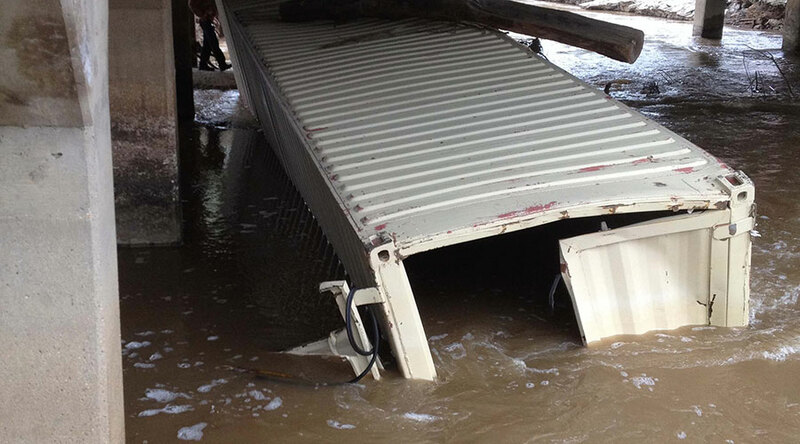 Water control methods were necessary to complete the work within the flows.